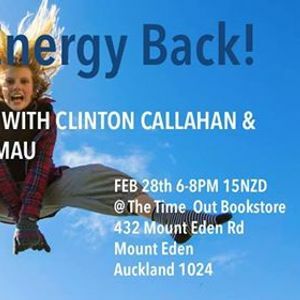 Auckland: Get Your Energy Back! JOIN US for an interactive talk with PM originator Clinton Callahan and trainer Anne-Chloe Destremau. THIS IS FOR YOU if you know how it is to have a daily list of "To Dos" to follow before you can even start to think about exciting new ideas that could change your life. In such case, we often might not get beyond the first two tasks on the list, ending up disappointed because we did not have the time and energy to do the things that really matter to us. 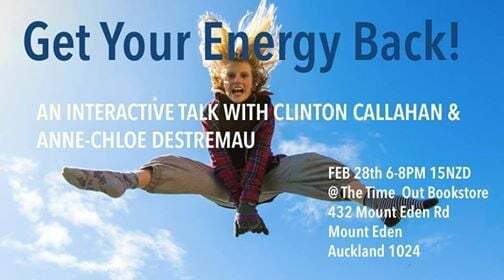 In this interactive talk, Clinton & Anne-Chloe will dive into the source of this energy in order to reconnect with our energized selves! REGISTER TODAY and make use of the unique opportunity to learn from Clinton's vast experience (4 decades) with the tools developed in the context of Possibility Management. Tickets are 15$ per person. Please pay at the venue (Cash only! ).